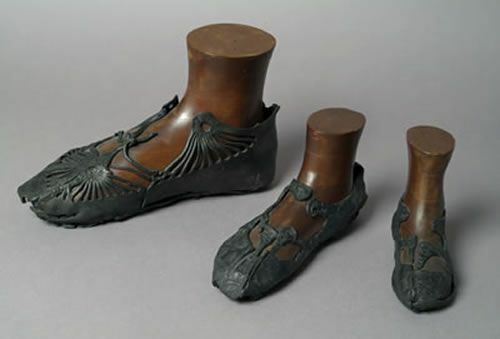 Woman's shoes, Roman, 2nd-3rd century CE. Image Source: pinterest. 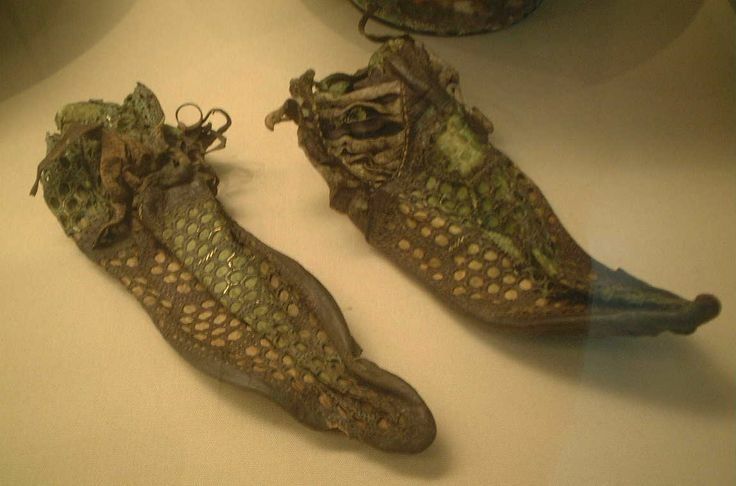 Today, from the pinterest page, Roman clothing, we have pictures of Roman shoes. What Roman Londoners wore. Image Source: Museum of London Archaeology via pinterest. 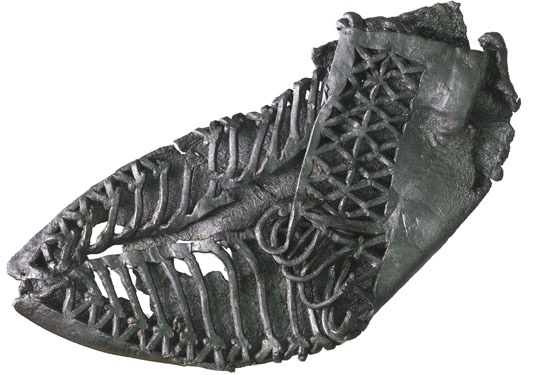 "These Roman shoes were found between 1979 and 1982 during archaeological excavations at Bar Hill fort on the Antonine Wall (In Scotland). The Antonine Wall was built between 139-140 CE." Image Source: pinterest.